Many of my friends have kids who are just getting to the age where mom and dad are showing them the joys of gaming. 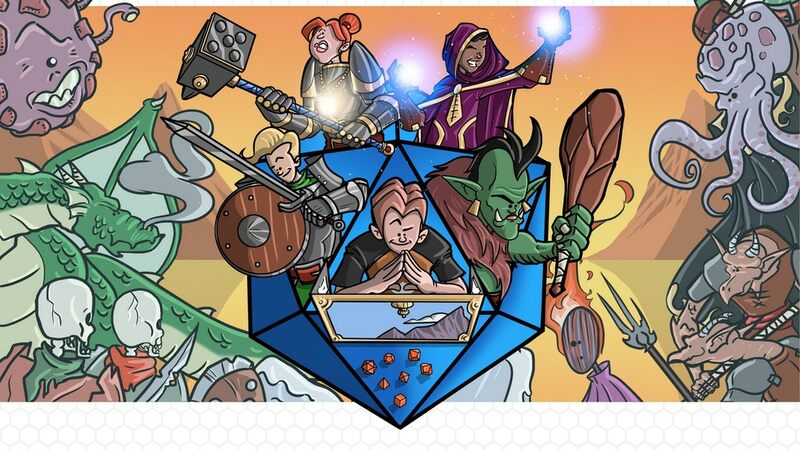 In order to give them another opportunity to inject the joy of gaming into their lives, there's the storybook, The Little Game Master, all about a group of friends who turn to RPGs in order to stave off some boredom. It's up on Kickstarter now. I'd sort of always wanted to be a fighter pilot. My eyes have never been good enough for that sort of thing, but it was one of those dreams I had in the back of my mind as a kid. Now, certainly the potential of being a Top Gun are exceedingly slim, but I can still live vicariously through gaming. 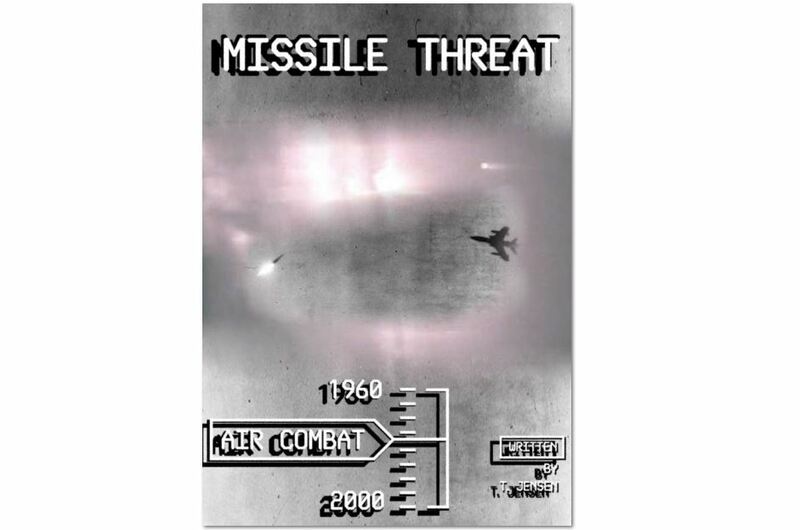 And that's where Missile Threat comes in. It's a new set of air combat rules by Ostfront that looks to accurately recreate air battles from the past 60 years. You can get your copy now (aviator glasses sold separately). In Freeblades, there's more than one way to outfit your characters. Depending on how you want to create your warband, you might want certain weapon loadouts on certain characters. Thankfully, the folks at DGS take this into consideration when they have a new release. For example, the new Trilian Bladerider's now available, and there's multiple ways you can outfit this swift addition to your team. As the first month of the year comes to a close, it's good to look forward to what the rest of the year will be like. How many of your resolutions have you managed to keep? Blue Orange is looking to make 2018 a great one, and they've resolved to have a bunch of game releases. But what sorts of things will there be? Glad you asked! Because they're here to show their plans. Still working on getting better from this cold. It always seems to take me longer to get back to 100% than it does days that I'm actually feeling sick. It's like, "Ok, these are the days I'm definitely sick" and then a week of, "I'm hoping this is the last day of this garbage." I'm starting to get my appetite back, though. So I'm going to chow down on some bite-sized gaming stories. Today in the platter we have: Treasure Towers Dice Towers Up On Kickstarter, Now available - New Ancestral Ruins bases From Tabletop-Art, Necronomicon Dice Up On Kickstarter, and New Nurgle Trays from Battle Foam: Great Unclean One. When the Conquistadores made their way into the islands of the Caribbean and around South and Central America, there were plenty of dangers among the palm trees. The Natives certainly weren't always interested in having their riches plundered. There were storms that could wipe out entire islands. Then, of course, there were the ancient gods. 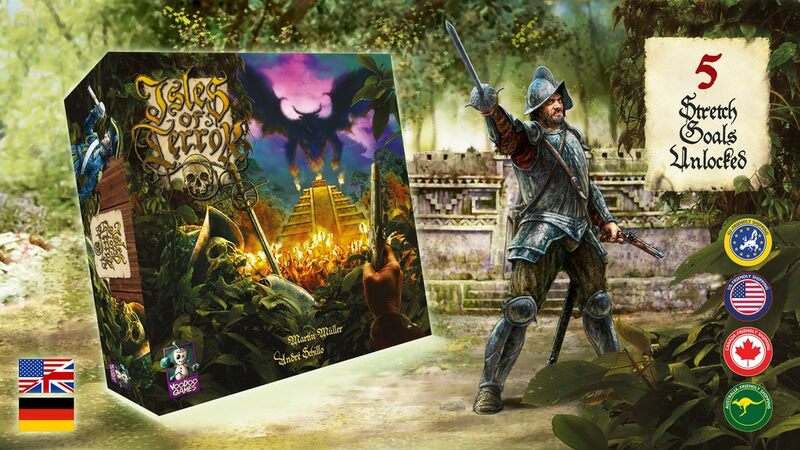 Facing all these trials is what you'll be doing in Isles of Terror, a new board game from Voodoo Games that's up on Kickstarter now. I've got friends who have been showing off that they've been getting their Kickstarter editions of Way of the Fighter. 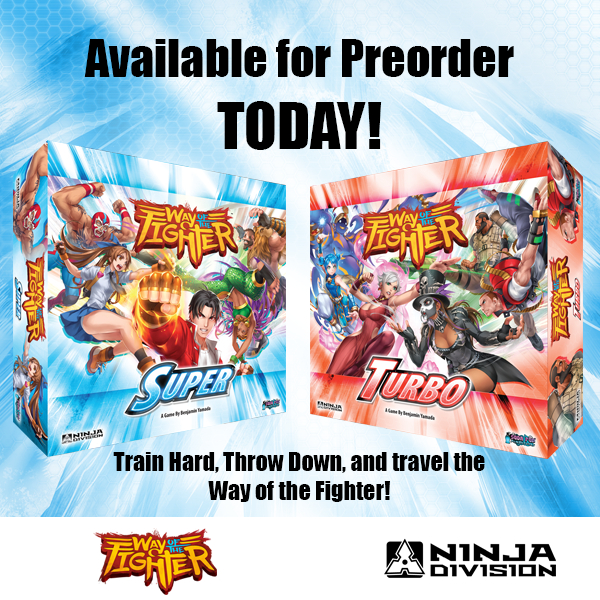 They're excited about the old-school fighting game feel right on their tabletop. Well, for those that weren't part of the Kickstarter campaign, their wait is almost over, too. Soda Pop is celebrating Valentine's Day with the game's release (that's Feb. 14th, just in case you didn't know). But you can put your name down on the list to get your copy now, as they've started taking pre-orders. We all know gamers want to be the first ones with the new toys when they're released. Nobody likes to wait for their awesome figures. So pre-ordering is a good way to make sure you get yours first. Well, those that are pre-ordering Star Wars: Legion through Fantasy Flight's website will get an extra bonus. Corvus Belli is having the first of their giveaways for the year. 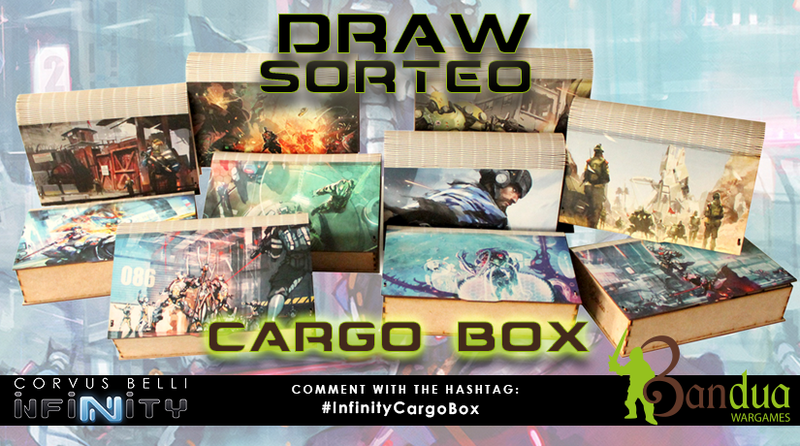 This time, they're teaming up with Bandua Wargames to give you a free Infinity Cargo Box. I mean, who doesn't like getting things for free? Check out their page so you can enter your name into the drawing. 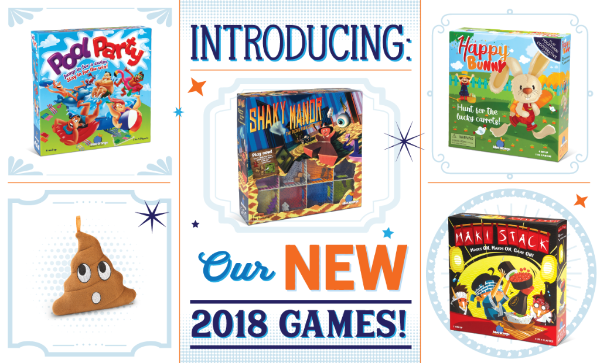 Asmodee has created another partnership with a gaming company, adding to their already impressive resume of those under their umbrella. In this case, it's Rebel Games from Poland. Box sets are handy when you want to get an entire unit of figures at once. But what about when you just need a single figure? Maybe one got lost or busted or you want to customize your forces just a little bit. It can be annoying to have to get a whole box just for a single fig. 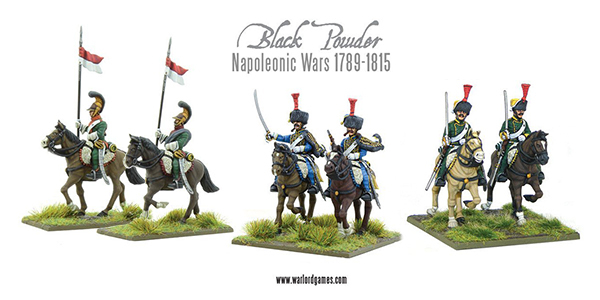 Thankfully, Black Powder players looking to just get single sprues of French Cavalry are in luck. You can now buy individual frames from Warlord Games. Cultists, praying to a forgotten god, are trying to cause all sorts of havoc. It's up to you, the investigators, to come up with an answer and stop them. Being an investigator, knowledge is your greatest weapon. 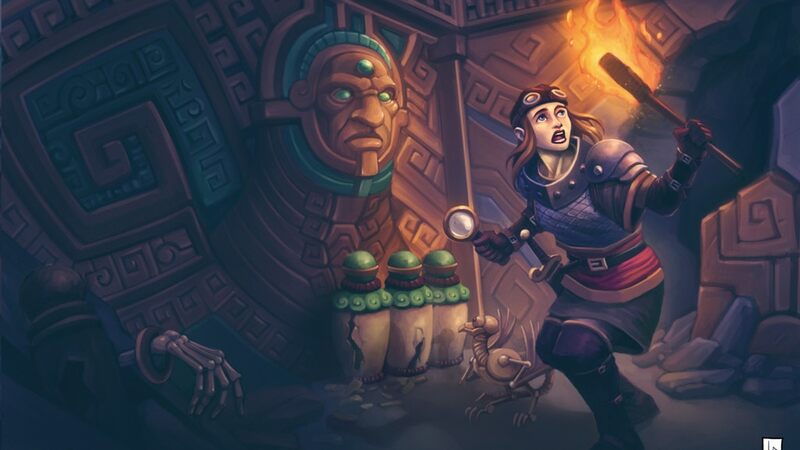 Best to get some intel on these cultists, plus the other investigators you'll be working with. 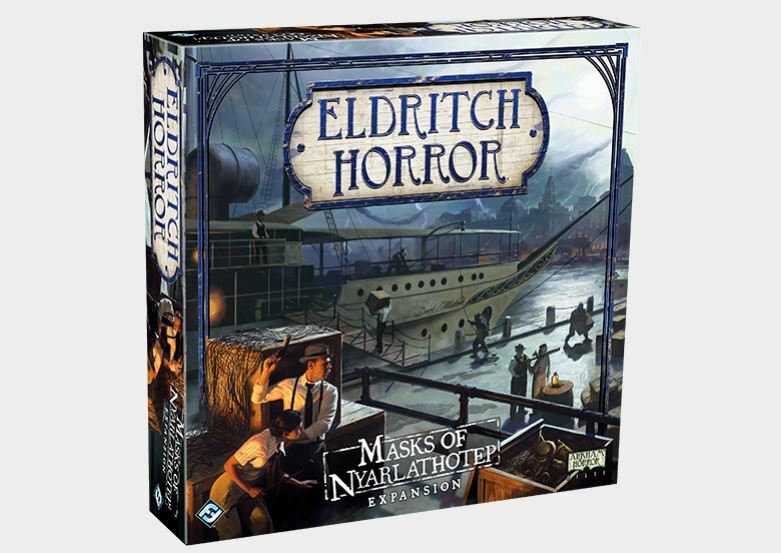 Good thing that's just what we've got here for the Masks of Nyarlathotep expansion pack for Eldritch Horror. I mean, I realize they're a vital part of the ecological system and all, but I'd prefer if they didn't come invading into my apartment. However, as bad as seeing something scurry across your kitchen floor in the pale moonlight may be, it is nothing compared to the bugs one comes across in the depths of space. For those, you'd best get out your plasma rifle. I don't think a tennis shoe will suffice. 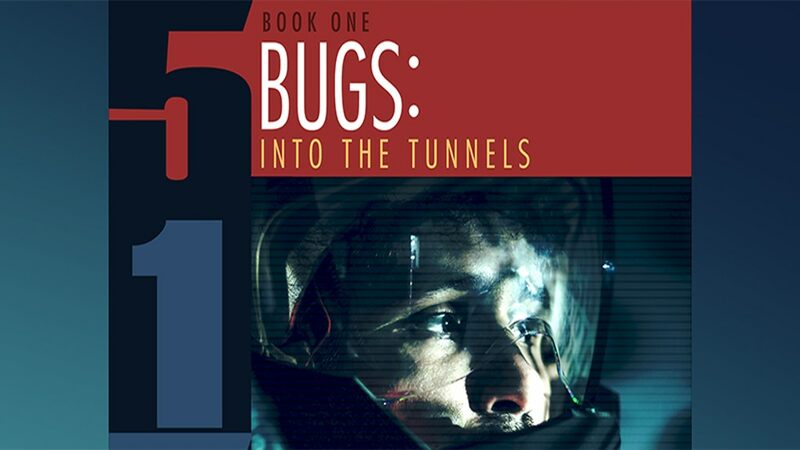 That's the type of thing you'll be fighting in 5150: Bugs: Into the Tunnels, a new minis game that's a team-up between Two Hour Wargames and Acheson Creations. The game's up on Kickstarter now. Well, I have to say, I'm always intrigued when I come across a game that has a theme that's different from most. I think it's safe to say that that's what we've got here from Tiny Shark Interactive. Their first board game is called SpacebabiesNRobots (or perhaps SpaceBabies N Robots... It's one way in their press release, another on their website). 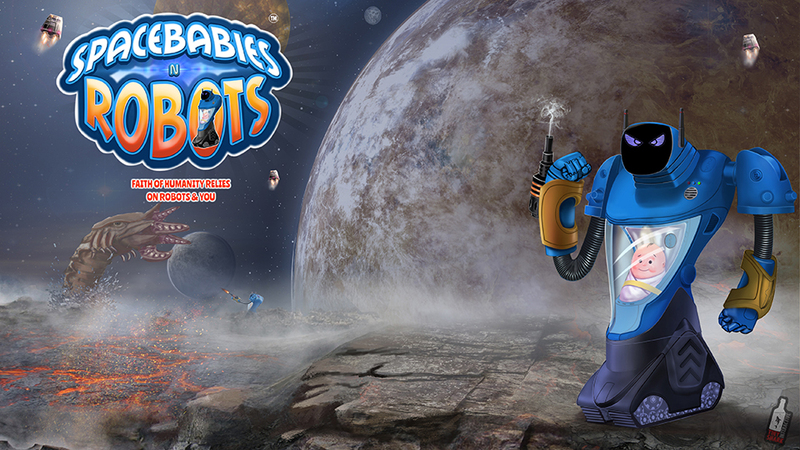 The premise is simple, get your robots (that are carrying babies) to the escape pods in time. The game will be coming to Kickstarter next month. Tuesday and the work week is fully underway. I'm still on the road to recovery, every day feeling a bit better, but still trying to take it easy, lest I suddenly relapse and get sick again. So, while I try and get the last of this gunk out of my head, lemme also get you some podcasts to listen to so your week can go by quickly. This week we have: Epic Gaming Night Podcast Episode 142: sculpting miniatures with Chad Hoverter! 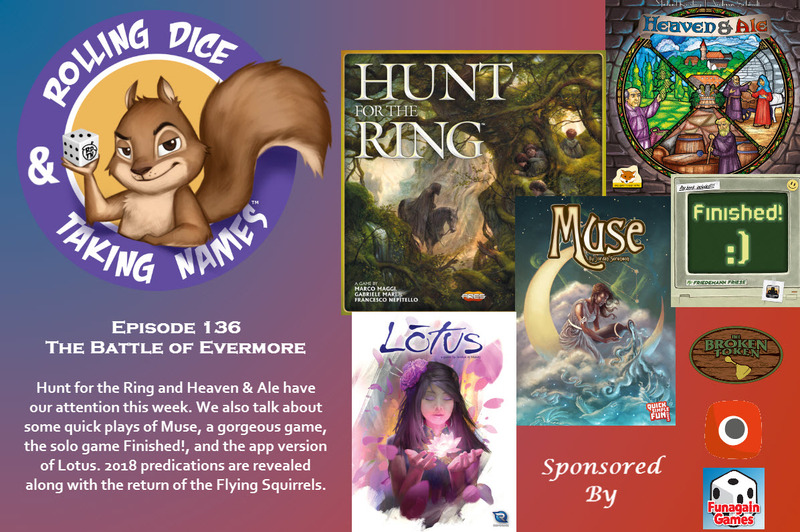 ; Blue Peg, Pink Peg Episode 115: Rajas of the Ganges; Gamers Lounge Episode 141: What is the Aetherium; Singled Out Episode 59: Talking Hunters With Aaron Wilson; Guild Ball Tonight Episode 75: Not A Kickstarter; Anonymous Tabletop Episode 21: The Last Jedi Spoilercast; Rolling Dice & Taking Names Episode 136: Hunt for the Ring, Heaven & Ale, Muse, Finished!, and Lotus; Cardboard Herald Episode 64: Gabe Barrett of Board Game Design Lab; The Secret Cabal Express Episode 34: Euro Games, Some We Love and Some We’d Love To Play; and News of the North - 2018-01-30. Come to the Dark Side. We've got cookies! All of us have heard the siren call of the Dark Side of the Force at some point or another. Whether we've actually crossed over or not, you have to admit that they've got some pretty cool armor and gear. And if you want to play the Dark Side in Star Wars: Legion, a good place to start is with the starter (makes sense). But what will you be getting in said starter? That's what we get a look at in this preview from Fantasy Flight. Also, they announce that the game will officially be released on March 22nd. So be on the lookout for that. Gamers want to be in the know. You want to have all the info. And you want to make sure that the games you're playing are as good as possible. So, if you can, you'll look to help out with the game design process. 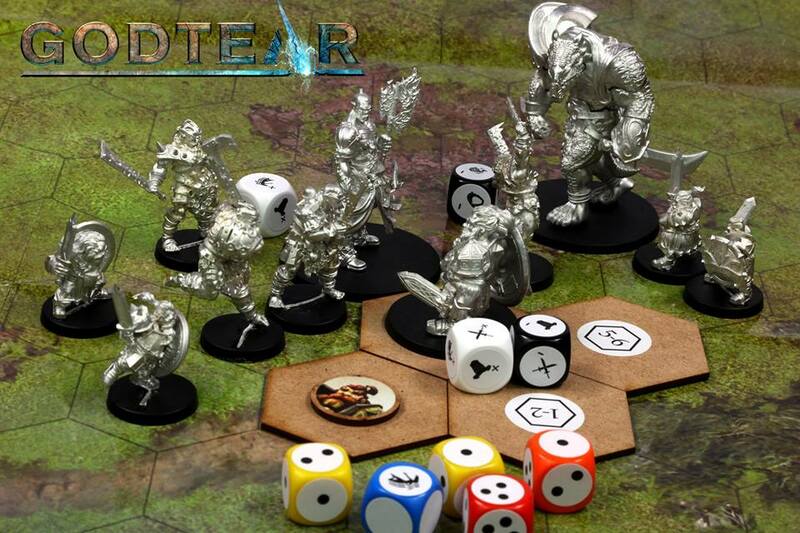 In this case, you're in luck, since Steamforged is going to be sending out playtest kits for Godtear. You can jump in and order yours today. We've all heard about computer worms. They're nasty, little programs that can infect your system and just keep on tunneling through. 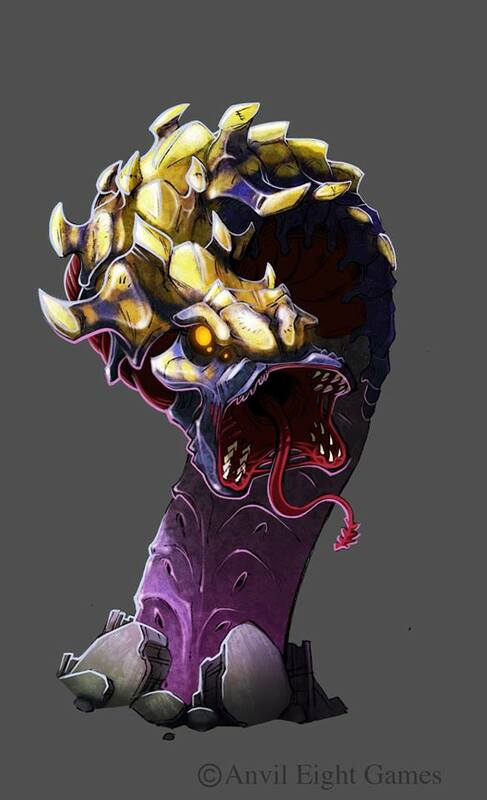 That might be annoying enough as-is, but in the world of Aetherium, you might just run into The Wurm, one of the terrors of the Rhommox Faction. Down under the surface world we know is another layer. Here, a deep, dark, underground ocean has its own inhabitants... but also its own riches. It's into this subterranean, submarine world that you find yourself in Shadowsea. AntiMatter Games is showing off some new releases they'll be coming out with for the game in the next couple months, including a huge kraken. Filling your entire day with gaming is easy when you have a gaming magazine on-hand. And you're in luck. 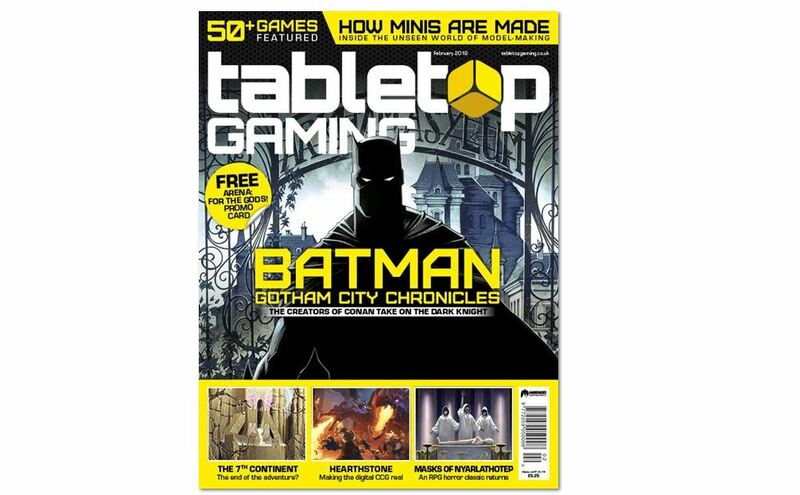 The latest issue of Tabletop Gaming Magazine is now available. I mean, you come to Tabletop Gaming News to get news about tabletop gaming. You might as well read Tabletop Gaming Magazine as your magazine where you get info about tabletop gaming. It just makes sense. When your game has been around for 14 years, regularly putting out new material, it's easy for a new player, or even veterans, to get lost when looking for a specific bit of info. That's where compendiums come in handy. 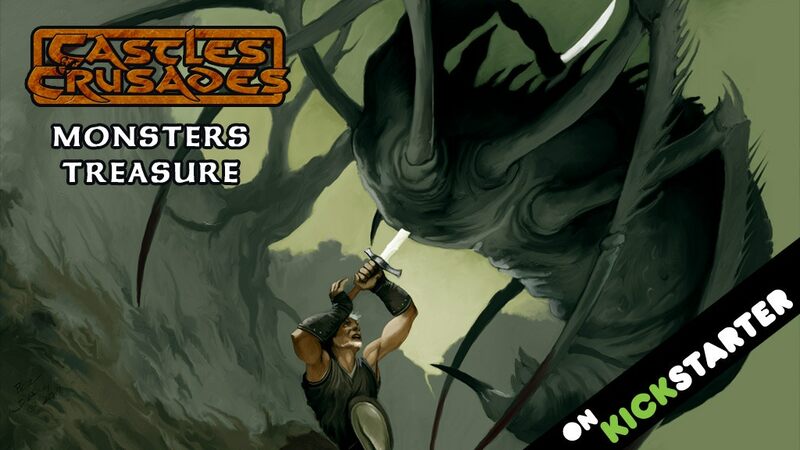 In this case, Castles & Crusades: Monsters & Treasures looks to bring together all the monsters that've been created for the game over the almost decade and a half and give you one, giant tome of fights for your adventurers to take on. The book is up on Kickstarter now. In folklore, there's nearly countless spirits, creatures, and other beings that inhabit the world. In the Manual of Mythology, they'll bring those creatures to your D20 RPG games. 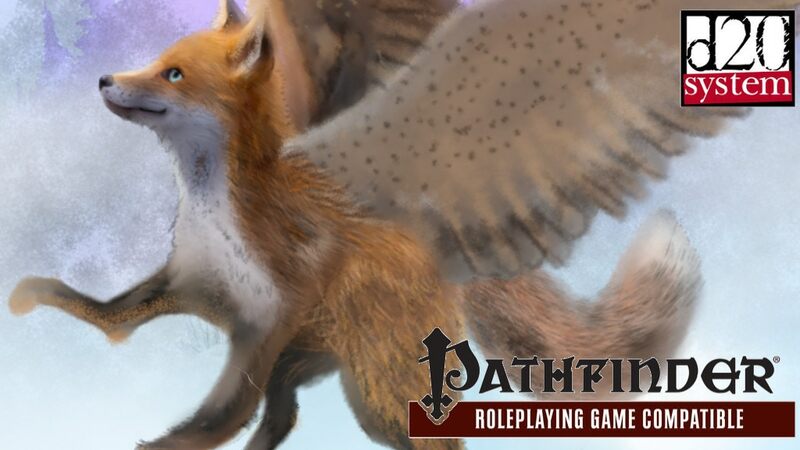 It will bring all these "real world" creatures into the mythical realm of your adventures. The book is up on Kickstarter now. When playing in an RPG, we tend to have a very specific idea of what we want our characters to be. We have a rather clear picture of what they look like, how they act, what their personality is like, what they're good at. Sometimes, it's hard for a game to actually make that character live and breathe in the system of the rules. Ascendant Destiny looks to be as flexible as possible with character creation rules, so the character you make is exactly the one you want. The game is up on Kickstarter now. 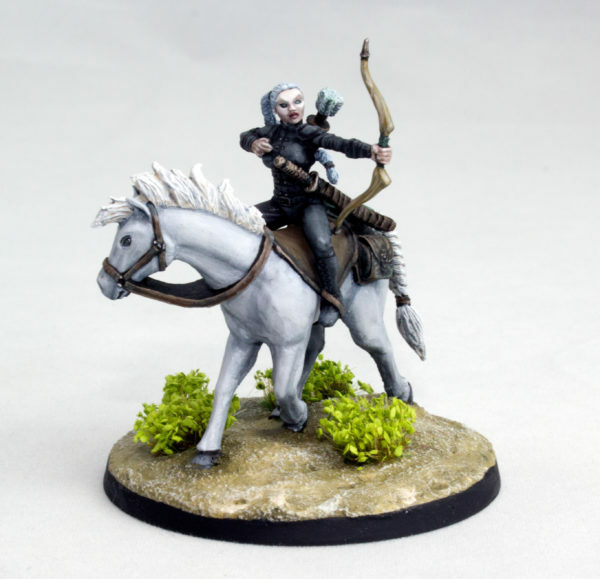 The Ratcatcher's Guild will be the first minor guild released for Guild Ball. They will be hitting shelves relatively soon, and so, as to make you all informed customers about what you can expect, Steamforged has posted up a preview of two of the characters that'll be in the box. They are Skulk and Pelage. Ooof, it was not the best of weekends, having been sick. Thankfully, even though it's still pretty early in the morning (as I'm typing this up, anyway), I'm feeling better now. I think I turned a corner on it overnight. We'll see how the rest of the day goes. I need to heal up. Gotta be ready for my friend to come over next weekend and do some gaming. Also, we've got our regular terrain feature for you today. 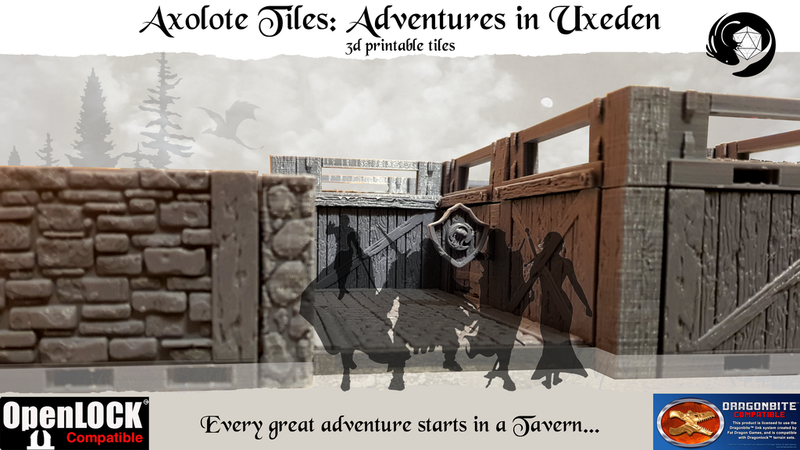 In the Terrain Corner we've got: Axolote Tiles Up On Kickstarter and Woodland Gaming Mat Available From Pwork Wargame.